Written by Shayla Price on December 12, 2017 . Too often, companies blanket their lists with emails that treat everyone like a prospect who needs education, or someone unaware of the problems their product solves. They send email after email, packed with great content and stories, and don’t get deals to close. They forget that someone who’s aware of your product, its features, and how much it costs requires a different kind of messaging—they don’t need education, they need to be sold to. OK — Who’s Ready to Buy? (Source) You might have one email flow that works really well at moving people from being problem aware to being product aware. This means they start out not knowing much about the problem and move towards knowing that your product exists. Or your email flow might move them from being solution aware to being product aware. You show them how you’re different from the competition and move towards explaining how your product features solve their problems better. But here’s the thing: the fact that people know they have a problem and that you have a product isn’t enough to get them to buy. 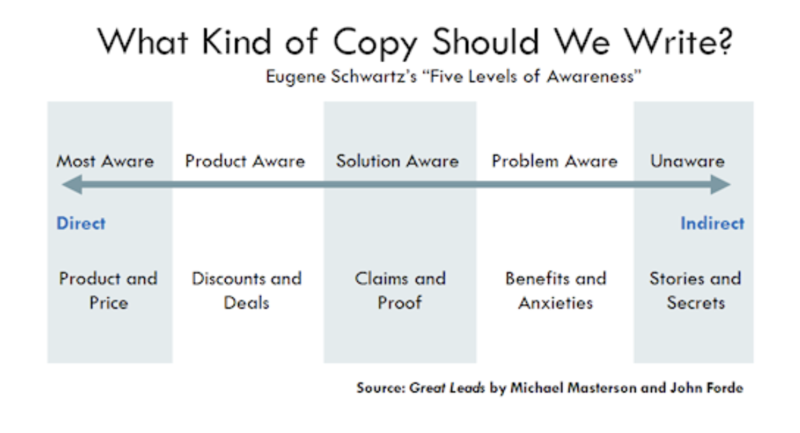 To do that, Schwartz’s model suggests moving people one more step to become “most aware.” Meaning, they understand how your product specifically works for them. You’re going to want to focus most on closing the deal with your most aware, product aware, and solution aware prospects. Once you’ve identified and segmented your users, you need to start sending them relevant emails to move them along and close the deal. Don’t think this will be just one or two emails though. Your campaign should have at least six to eight emails queued up. Here are some of the email styles that you can use. They’re all powerful and act as the push users need to get over the last hump and buy. Sometimes, what stops people from buying is the price. They know it’s a solid product but feel it’s out of their price range. Patrick McKenzie at Stripe came up with the email below while consulting for WP Engine. 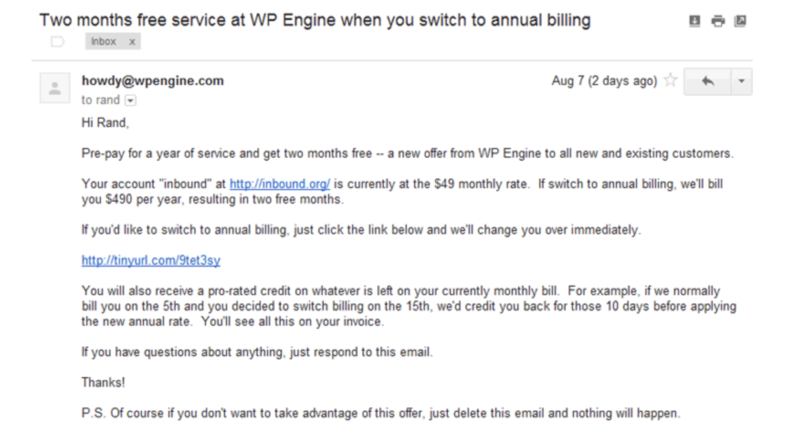 A year of WP Engine typically cost $2,400. The solution was a discount that gave people the option to pre-pay for the year and save $200 or two months free. The email campaign explained the benefits and included a link for people to make the switch. 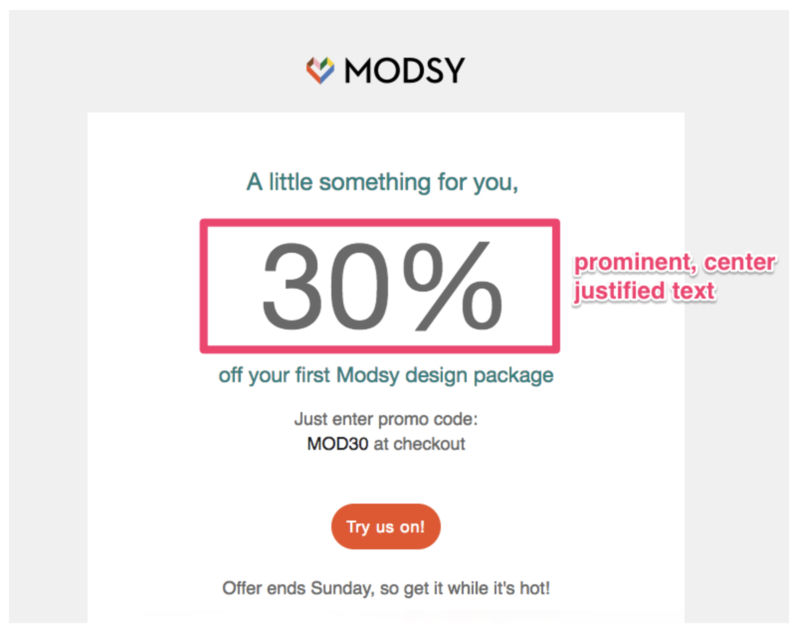 This is what Rand at Moz called “a work of marketing art.” Every part of the email from the subject line to the email itself makes for a positive user experience. A lot of times users are ready to buy but take their time doing so. One way to get them to act quicker is to send time sensitive offers. 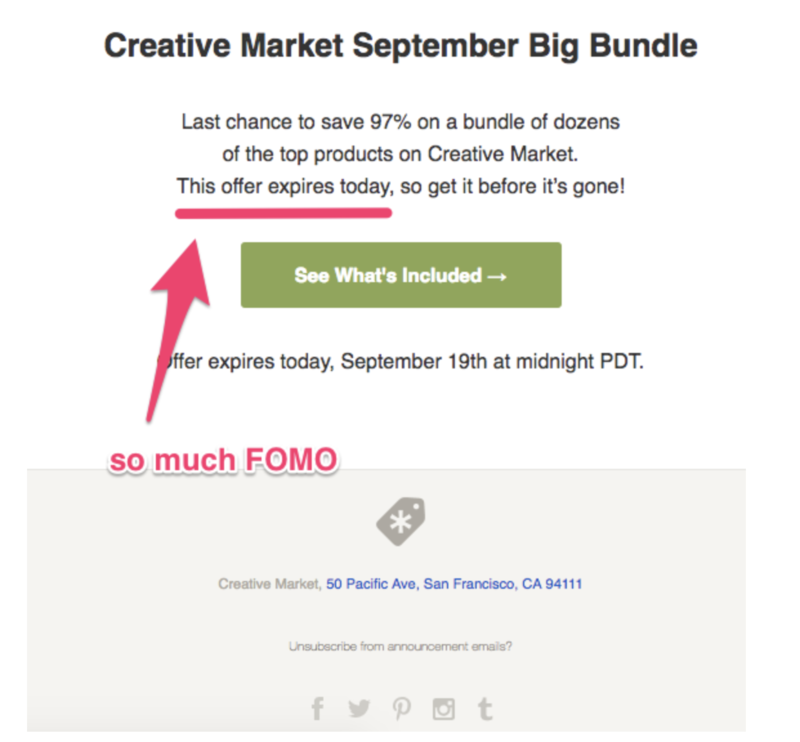 In the Creative Market example below, they offered people deep discounts if they bought before the deadline. The combination of the discount and the fear of missing out on a limited-time offer are enough to get people to buy. On top of the direct copy, the call-to-action acts like a lead in to get people to act. Instead of saying something like, “Buy Now,” it caters to their curiosity. Saving 97% on a bundle of products is intriguing, but finding out what’s included is even more tempting. Users want to feel as though they’re getting the best possible offer for your product. Shea Moisture took a creative approach with the campaign email below and gave users the chance to choose how much they save when they buy. 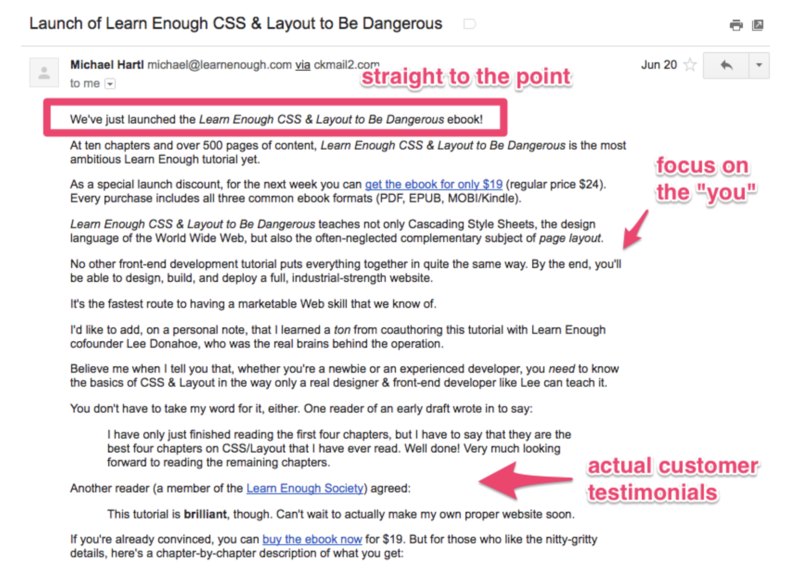 Even though this email was sent to a large group of users, it offers a level of personalization. The sense of urgency also adds to the need to act immediately. The short three-day window ensures that product aware users feel comfortable taking that next step. People resist writing long emails a lot, but they can be highly effective. Joanna Wiebe at Copyhackers found that simply writing longer emails helped boost Wistia’s onboarding conversion rate by 3.5x. While the Wistia team wasn’t sure about changing up their style so dramatically, the results spoke for themselves. Longer emails work because they give you a chance to get more than just a glancing impression from your reader. If you tell the story in the right way, you can transfer a lot of information in a very short amount of time and bring someone from barely being solution-aware to being ready to buy in minutes. Building an email campaign that converts shoppers to customers starts with knowing how aware they are of what you do. Even though they’re ready to buy, the added segmentation means your campaigns are even more targeted and move people towards buying something. Then experiment with different types of emails. Remember, one email isn’t going to do it. Set up two or three emails per awareness segment, so you have a cohesive campaign. This way, you show people you understand what they desire and have the right solution tailored to their needs. How do you segment your users? What types of emails close deals for your team? Share your thoughts in the comments!